When it comes to tough clogs and serious blockages, there’s no match for the power of hydro-jetting. Hydro-jetting utilizes high-pressure water to blast through problematic buildups much more effectively than snaking. 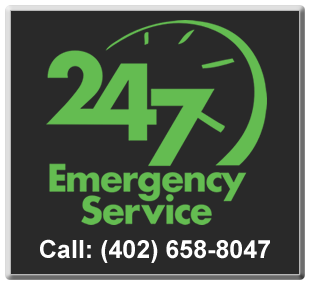 If your Omaha home or business has had reoccurring drainage problems or waste water backing up, call Major Drain to get your pipeline acting like new again. Short of replacing your piping, there’s no better way than hydro-jetting to get your pipes draining like the day they were first installed. Instead of just clearing a hole big enough to get things moving again, hydro-jetting scrubs your entire plumbing line and keeps your pipes clog-free for longer. Forward and reverse jets give pipes of any size or type a full 360° cleaning. Hydro-jetting dislodges any stubborn obstructions blocking the pipe or stuck to the walls which means your Omaha business or home’s drain lines will run as efficiently as possible. Hydrojet plumbing is extremely valuable when problems arise, but you can also schedule routine hydro-jetting services with Major Drain to keep your drainage system in full working order year-round. It’s a fairly inexpensive alternative to the cost of repairs and replacement once the problem gets out of hand. Hydro-jetting services are the effective, economical, and environmentally-friendly choice when your drains need a serious cleaning. No harsh chemicals are necessary with hydro-jetting making the process completely safe for both your pipes and the environment. Our hydro-jetter uses 4000 pounds per square inch (psi) to blast through even the toughest blockages while clearing out any debris and polishing the interior pipe walls. This process is a more efficient and effective method for drain cleaning since it can wipe out build-up, debris, and anything else that might be stuck inside drains leaving them nearly as good as new. The high-pressure water can eliminate anything from the thickest grease build-up to the most stubborn tree roots. With all obstructions cleared and the pipe walls scoured clean, your Omaha business or home’s drains will soon be flowing as smoothly as possible. Homeowners value Major Drain’s hydrojet plumbing services to keep their drains clear when it comes to the common problems of tree roots, hair clogs, and other objects that may have found their way down the drain. Tree roots, hair, and other objects are easily cleared out with the high pressure of the water. Hydro-jetting is also extremely effective at cleansing the pipe walls of any grease deposits, sand accumulation, or scale build-ups and leaving them like-new. Regular hydrojet plumbing will keep your Omaha home or business’s pipes clean for a longer period of time than snaking. Business owners with persistent drainage issues or water backing up can eliminate their problems with regular hydrojet plumbing services. Solid objects like tree roots or any other items that accidently get lost down the drain are easily cleared out with hydro-jetting. Other common commercial drain problems include heavy grease or food particle build-up, soap or sludge accumulation, and rusty cast-iron drains. Routine hydro-jetting is especially recommended over snaking for restaurants to keep drains functioning year-round. Other commercial uses for hydro-jetting include industrial facilities, building drains and sewers, commercial main lines, and hospitals. Tired of continuously needing your drains cleaned? Call Major Drain of Omaha to get them working like new again!